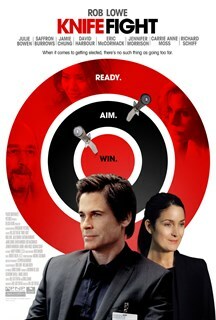 Set in the world of election politics, this riveting story follows three political candidates running for public office, with Lowe as a hard-ball political crisis manager in the middle of some dirty campaigns, Chung his smart administrative aid, and Bowen a hot shot reporter who sleeps her way to major news stories. After the fallout of his strategy harms a young girl, Lowe’s character grows a conscience and decides to help Penelope (Moss), a charitable doctor, run for office. But he still has to find a way to succeed in this game where the only rule is winning.